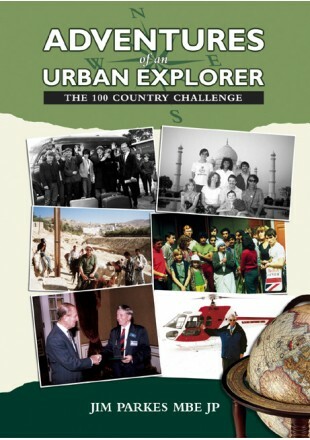 This is the story of a 45 year journey to 109 countries. During this time the author has been blessed by Mother Teresa and Desmond Tutu, thanked by Nelson Mandela and Prince Philip, honoured by the Queen and frowned upon by Fidel Castro. Labelled by the media “Lucky Jim” for being a survivor and “Brummie OAP, the new Phileas Fogg” for being an adventurer. Not bad for a back street boy bullied by a cockerel and Hitler’s bombs. Without the support of bodyguards or an army of media technicians, war zones have been experienced in Israel, Lebanon, Iran, Afghanistan, Nepal, Russia during the Cold War and China prior to the Tiananmen Square Massacre. Injury was avoided when car bombs went off in Brazil, Cyprus, Israel and Turkey. There were anti apartheid street riots in Cape Town and racial riots in Mexico City and Kuala Lumpur. Terrorist attacks experienced included the Israeli rocket attacks on Hizbullah in Beirut, Maoist attacks in Nepal, the Tamil attack on my hotel in Colombo, the Kashmiri attack on the Delhi Parliament and the siege of the Japanese Embassy in Peru. Nature has intervened with an earth tremor in Tanzania, a typhoon in Japan, cyclone in Fiji, floods in Prague and Brazil, a dust storm and a volcanic eruption in Mexico. There have been five road accidents and eight arrests, twice by the Russians in East Germany. Organisations described include the Twenty Two Club in Birmingham, the Duke of Edinburgh’s Award and the Outward Bound Trust.